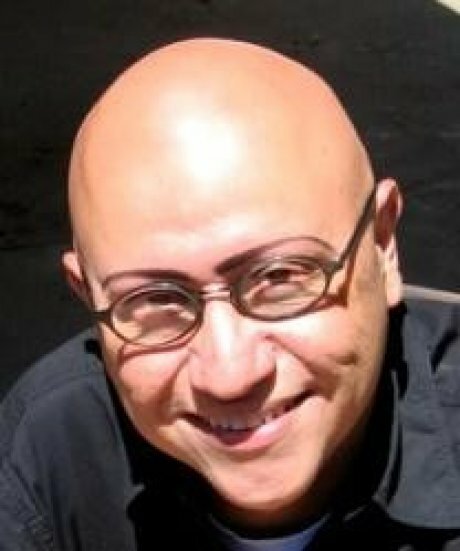 Alex Espinoza was born in Tijuana, Mexico to parents from the state of Michoacán and raised in suburban Los Angeles. After graduating from the University of California-Riverside, he went on to earn an MFA from UC Irvine’s Program in Writing. Espinoza is a professor in the Department of Television, Film, and Media at California State University, Los Angeles where he is the director of the MFA Program in Creative Writing and Literary Arts. As always, he is at work on his next book. An active participant in Sandra Cisneros’ Macondo Workshop and the Squaw Valley Community of Writers, Alex serves on the board of Cal Humanities, a statewide non-profit whose aim is “to connect Californians to ideas and one another in order to understand our shared heritage and diverse cultures, inspire civic participation, and shape our future.” Alex is also deeply involved with the Puente Project, a program designed to help first-generation community college students make a successful transition to a university. A Puente student himself, he has since served as a Puente mentor and often visits Puente classes to talk with students and teachers about writing, literature, and the opportunities he gained through education. His first novel, Still Water Saints, was published by Random House in 2007 and was named a Barnes and Noble Discover Great New Writers Selection. The book was released simultaneously in Spanish, under the title Los Santos de Agua Mansa, California, translated by Lilliana Valenzuela. His second novel, The Five Acts of Diego León, was published by Random House in March 2013. The Five Acts of Diego León: A Novel. New York: Random House, 2013. “An American in Mexico.” In The New York Times Sunday Magazine. (Feb 2007). Reprinted In Real Essays with Readings: Writings for Success in College, Work, and Everday Life. 4th Edition. Ed. Susan Anker. Boston: Bedford / St. Martin’s, 2012. 723-727. “Fool Rush.” In Southern California Review. (Summer 2012). “Profile of Success: Alex Espinoza.” In Real Essays with Readings: Writings for Success in College, Work, and Everday Life. 4th Edition. Ed. Susan Anker. Boston: Bedford / St. Martin’s, 2012. 190. “Coyotes.” In The Other Latin@: Writing Against a Singular Identity. Tuscon: University of Arizona Press, 2011. “Scenes from the Films of Orlando Real.” In Huizache: The Magazine of Latino Literature. (Fall 2011). Still Water Saints: A Novel. New York: Random House, 2007.